Have a user here working in Outlook 2016. Where is the option to have this broken out like every other version of Outlook, also shown below? This is driving me crazy, I feel like I have looked everywhere, thanks! 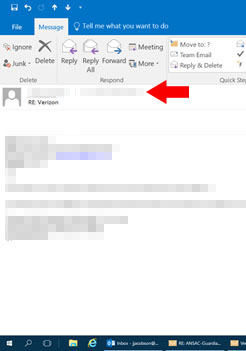 You can find the Up/Down arrow in the bottom right corner of mail header area. This button will show full header info. Not the answer you're looking for? Browse other questions tagged microsoft-outlook microsoft-office microsoft-office-2016 or ask your own question. Cannot find Outlook Data File? Howto sync or migrate Outlook 2016 settings?